Today was wine day! 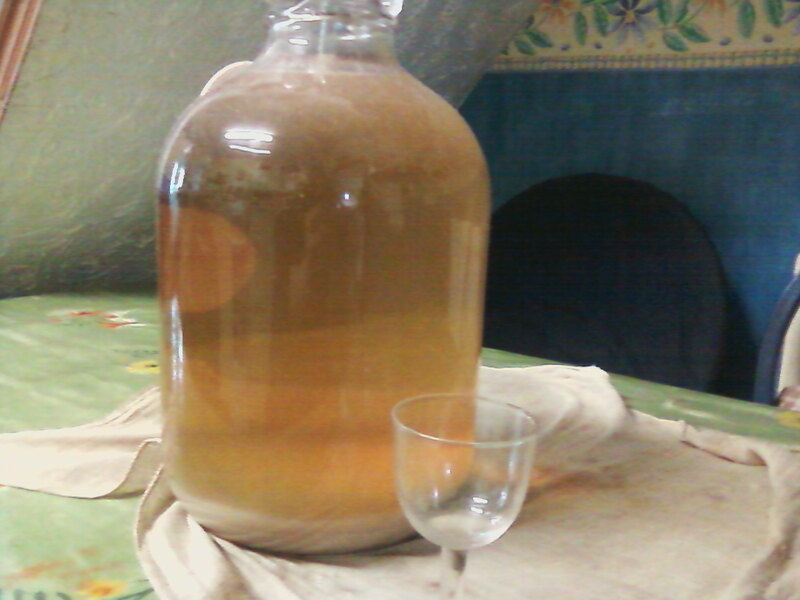 After three months of sitting in the bedroom very very slowly bubbling, it was time to see whether the parsnip wine was actually wine at all rather than a demijohn full of what seemed to be pretty clear liquid and a small layer of gloop at the bottom. The next stage is to syphon (or rack in wine parlance) the wine off the sediment into another demijohn. 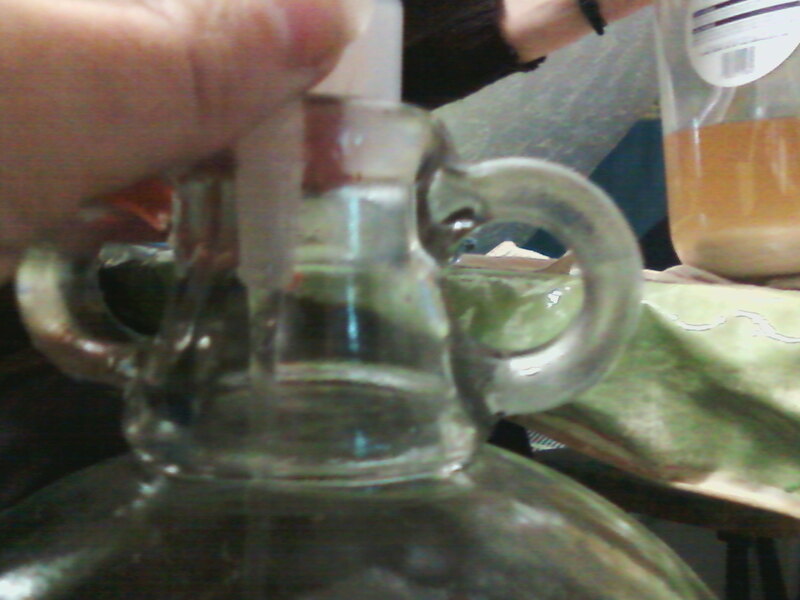 Now, syphoning isn't something I have tried very often, so this was going to be a challenge. The first couple of attempts resulted in the wine not quite going over the top of the loop of tube, but then all was flowing nicely - the trick was to get the wine into the length of the tube, quickly stop the tap, wipe the end (as it had been in my mouth) and then drop into the neck of the demijohn. As the level in the first demijohn goes down, it is useful to tip up very gently to get the remaining wine out. It is better if you can have help with this whole process, otherwise you would end up trying to be in two places at once. The idea is to make sure none of the gloop ends up in the wine, if it does another racking would be required. 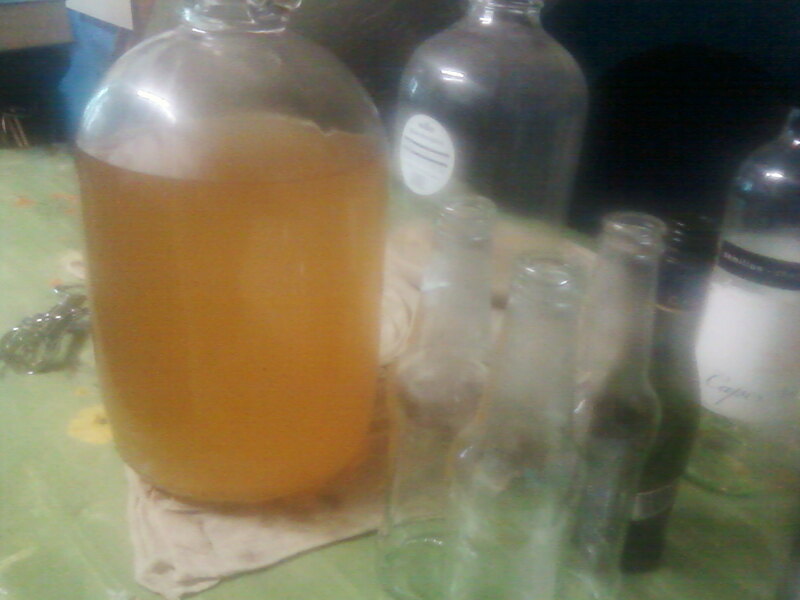 Having successfully got the, now quite clear, wine into the second demijohn, it was time to bottle the wine. I had saved a number of bottles of different sizes (as I just want to have a glass or two rather than having to open a full bottle each time), so again the process of racking was repeated, this time into bottles. Now the tricky bit is not getting the liquid flowing into the bottle, it is stopping the flow in time as the liquid approaches the neck of bottle, or in my case, overflows and ends up on one's trousers! However, 9 bottles later, including two normal sized ones, and all the wine is then corked up (I use plastic topped screw corks, again sterilised) and laid to rest for another 3-6 months to improve the quality. However, it is drinkable now and I may just have a bottle or two before then!